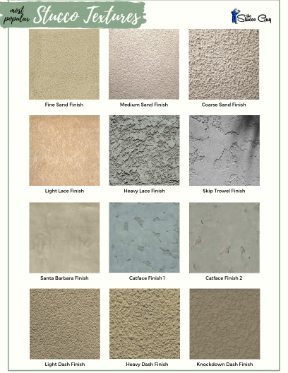 Weep screed allows the water that gets behind the finish and base coats of stucco to drain out through holes, this is a major component in how stucco functions. Installing it is very simple and requires basic tools and knowledge. Here is a few pointers to get you started in the right direction. 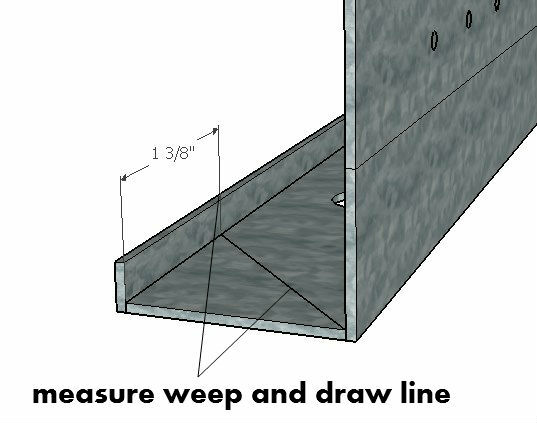 In order to join two pieces of weep at the corner of a wall, you will want to cut 45 degree angles at an outside or inside angle, depending on which type of corner you are up against. There are a couple of ways to cut corners but I want to keep it simple and minimize confusion, so I chose to go this route. 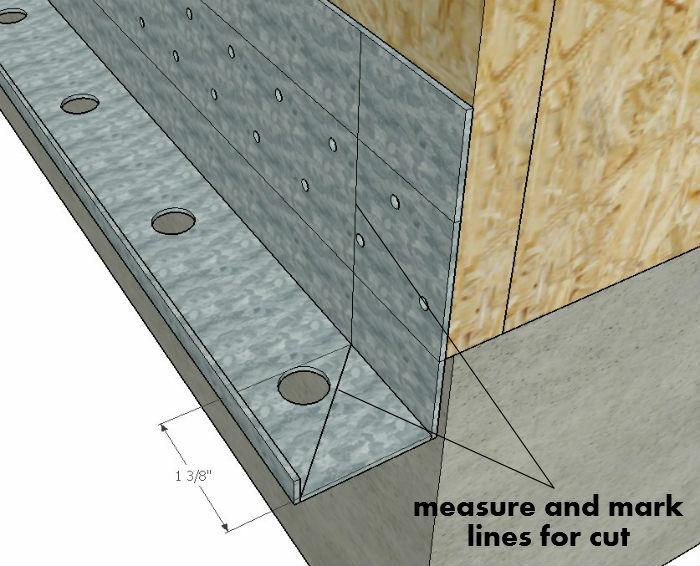 The process is the same for both inside and outside corners, the angles that you end up cutting are just mirrored. 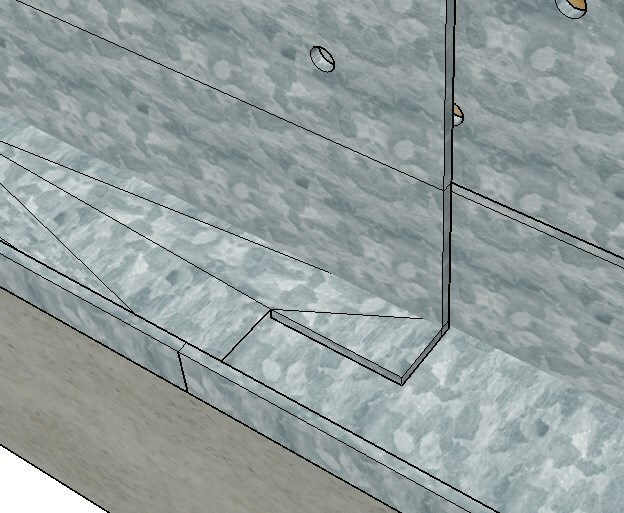 You would cut an outside corner with a normal 45 degree angle and an inside one with a 45 degree angle going the opposite way. 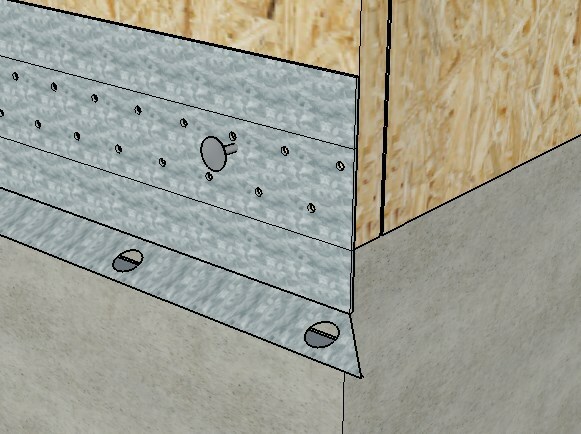 Take a measurement of 1 3/8″ along the front lip of the weep screed and make a mark. From this mark, make a line to the back flange at a 45 degree angle like the picture shows. First, cut the small lip in the front straight down and then continue cutting the line you made, along that 45 degree angle. 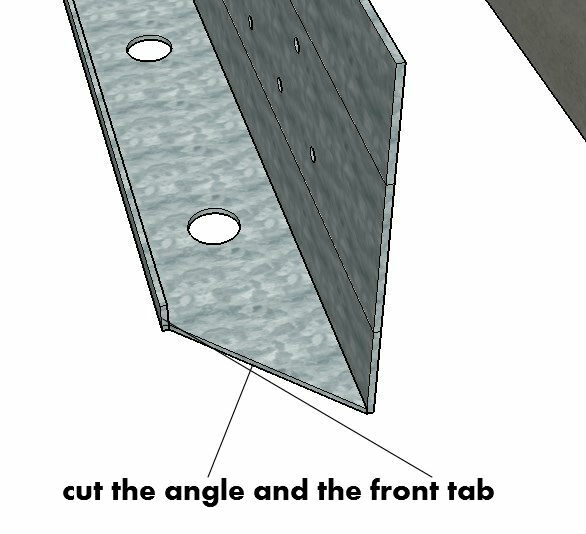 This time you are going to make a mark on the back flange at 1 3/8″ and draw a 45 degree angle going the opposite way, for your outside corner. Cut the line you made, the back flange straight up from your line and the small lip on the front. 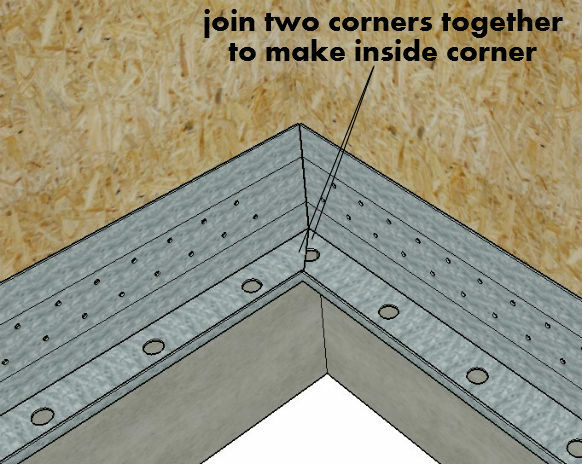 I showed you how to do one side of the weep for an outside corner, now you just need to do the same thing on another piece of weep screed (on an opposite end) and you have a completed outside corner. 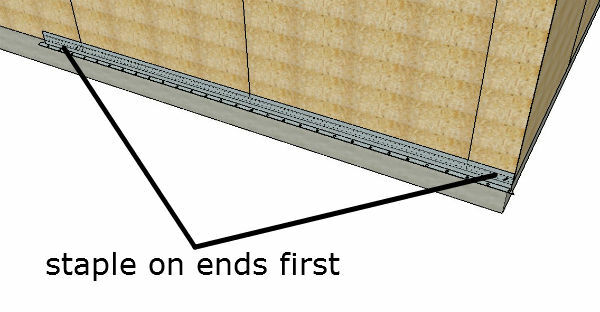 ​Joining two pieces of weep screed together is a part of the installation process. The recommended overlap should be a minimum of 1″. 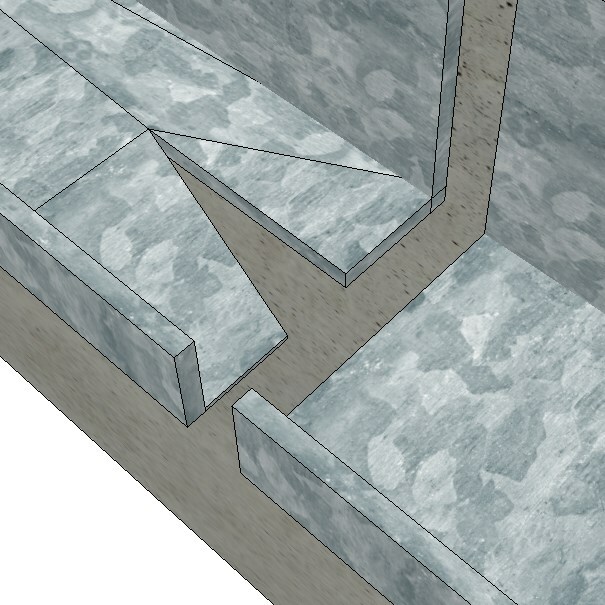 To join two pieces of weep screed together, cut a notch in the new piece in a “V” shape like the picture illustrates. Then the new piece can slide over the existing one. The two pieces will slide together easier if you bend the front lip of the weep screed down just a little bit, which usually happens automatically once you cut the “V” out. Now, it’s just a matter of sliding the new piece into the existing piece. ​The installation process is fairly simple and goes pretty quick. Start at an outside corner and work your way around the building. Typically, you would start at an outside corner (like I mentioned) and work your way around the building. 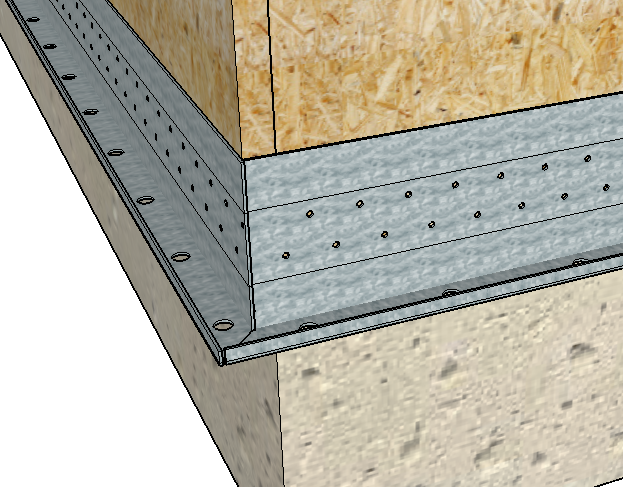 So start off by cutting an outside corner like I described earlier and make sure the bottom of the weep is roughly 1″ below the sheathing. ​I would recommend having someone help you with this because it is very difficult to do alone, mainly because the pieces are 10′ in length. The picture shows a different type of weep screed but the process is the same. 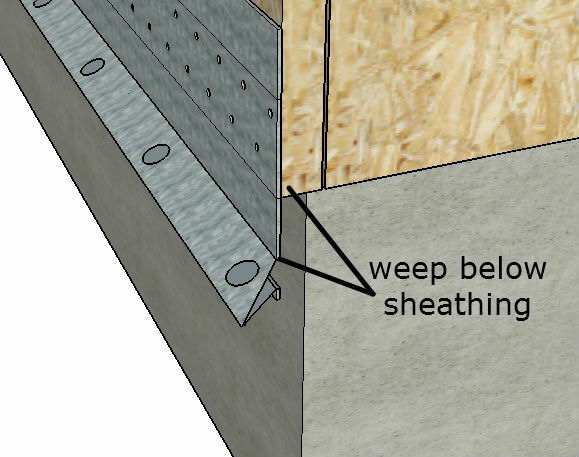 With the weep in place on the corner, either nail or staple the weep in the top corner as shown ​in the picture below. 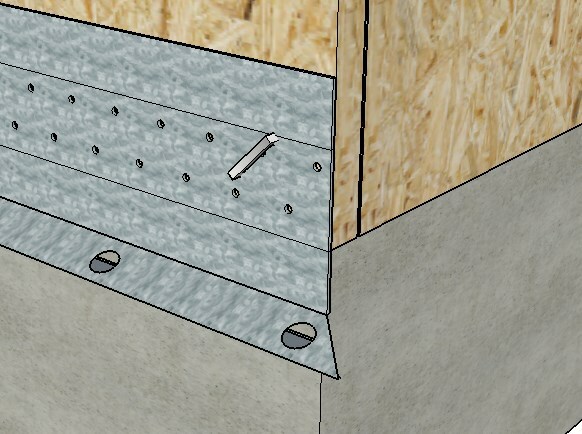 Notice where the staple and nail is located, the upper middle area of the weep screed flange. 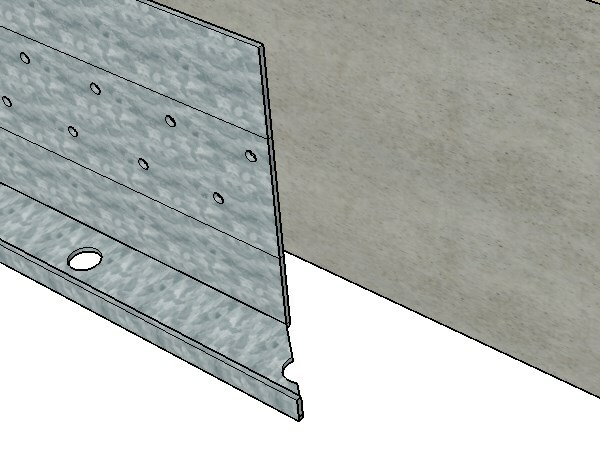 After you have the first corner nailed/stapled, then you’ll want to put another one in the far end, making sure the weep is hanging down an inch like the other side. 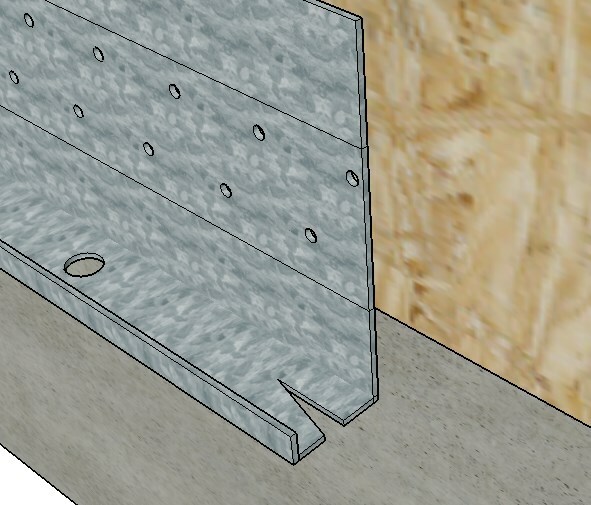 Then use a nailing pattern like the picture illustrates to finish it off.